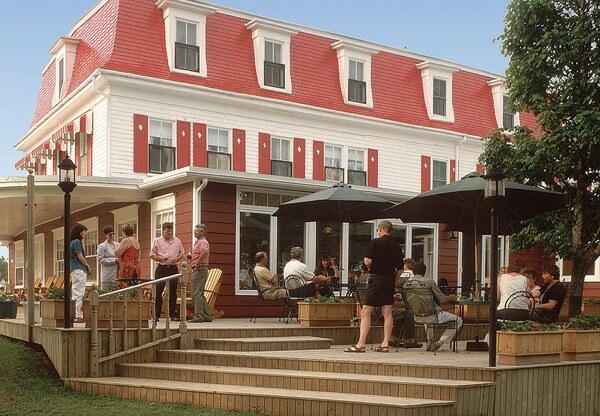 If you’ve ever wanted to take a special romantic weekend to celebrate an anniversary or occasion, Shaw’s Hotel on Prince Edward Island is an ideal location. This beautiful seaside hotel is a classic historic location that offers luxury with a feel of the past. Leave your modern troubles behind to enjoy a luxury hotel stay that offers a view of a time often forgotten. The Shaw’s Hotel is Canada’s oldest family operated Inn. Overlooking the surf alongside the majestic coast of Prince Edward Island. From the rolling farm lands surrounding the hotel, to the Brackley Beach just a few short minutes away, it is an ideal romantic destination, or alternately, a breathtaking spot to stop on your family tour of the island. 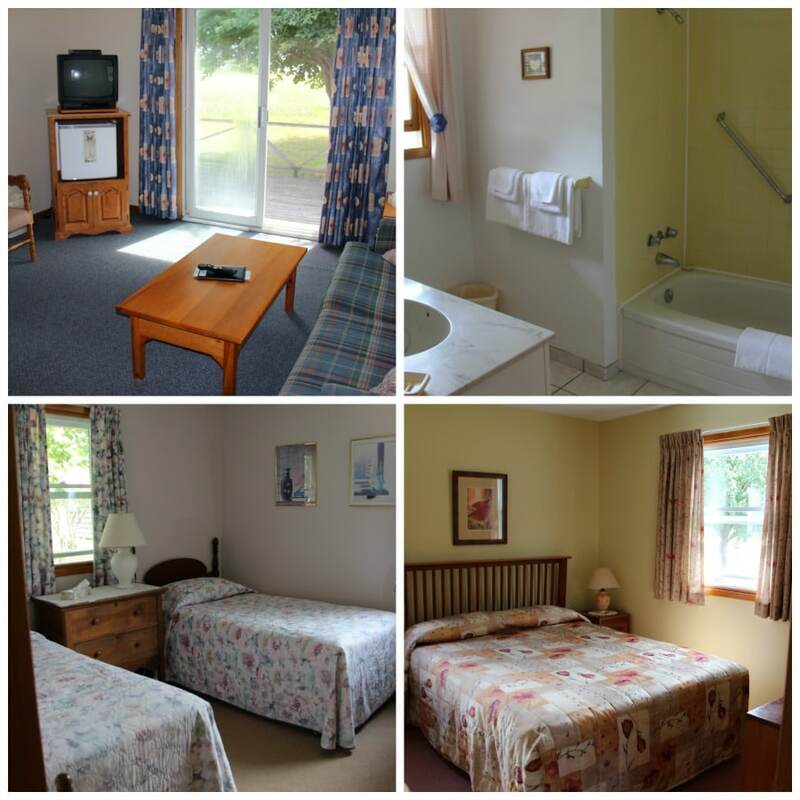 The Shaw’s Hotel offers beautiful cottage accommodations that allow privacy you want, while still being within easy distance of the beautiful main hotel. You can choose from various options that suit small families, couples, or larger groups. With a homey atmosphere, you are given the comforts of your own space without the struggles of neighbors just feet away as you would in a hotel room. Our cottage was the perfect place for families to vacation. With two bedrooms equipped with a queen bed and the other with two twin beds a family of four can rest comfortably. Loved having a mini-fridge, a patio, a bathtub (perfect for bathing two beach loving boys!) and separate bedrooms for the adults and kids. Clean towels were brought daily and we were just a short walk to the main building where breakfast was served, board games were available and a few steps from a great kids climber and sandbox. It seemed at every turn at Shaw’s family came first. With so many family activities and perfect accommodations it was like taking a trip to a family cottage rather than a vacation resort. For the adventurer or person craving more than a quiet spot to relax, there are many options near the Shaw’s Hotel. Water toys, activities, and their own private beach are all offered with your accommodations. 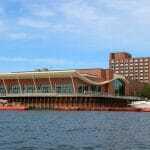 There are also many local places for crafting, bicycle rides, walking trails, and more within a short distance of the Shaw’s Hotel. There is never a shortage of activities, and are even some fun things for kids to enjoy. For any foodie visiting this location, they won’t be disappointed. 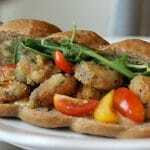 From the classic seafood menu expected on the coast, to a traditional kids menu that will please any picky eater, they have just what you want. A continental breakfast featuring muffins, cereals, fruit, and more is the ideal way to start your day. Worried there will be no time for just the two of you with kids in tow? During summer months, the Shaw’s Hotel offers a special kids meal a few nights a week that gives parents a 3 hour break. Kids are fed and entertained on premises, so parents can enjoy some quiet alone time or a special gourmet meal provided by the renowned chef. Our meal at Shaw’s Hotel was truly spectacular. It featured all the best of the island prepared with care and attention to detail. Each dish was full of flavour and we devoured every last bite.While there were kids options available the boys wanted salmon so the kitchen split the order on two plates. It was perfect! 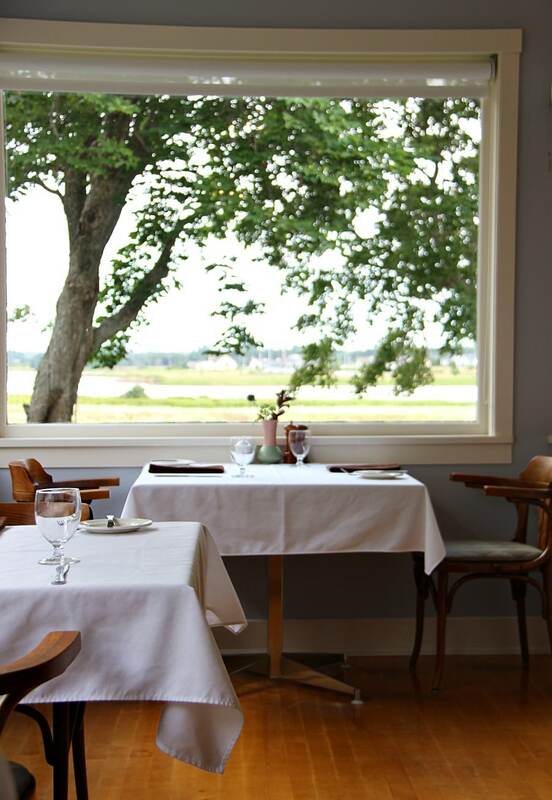 The dining room overlooks the bay with beautiful views. From the beginning of the meal we were amazed by the richness of flavour, fresh ingredients and beautiful styling. With Chef Matt Chandler cooking you are sure to fall in love with every dish. From the chowder to the mussels, to the salmon and the seafood stew it was an incredible meal. We finished off with delicious desserts and then took a leisurely stroll while the boys played at the playground. Taking in the beautiful smells from the kitchen and cool breeze it was a beautiful night. 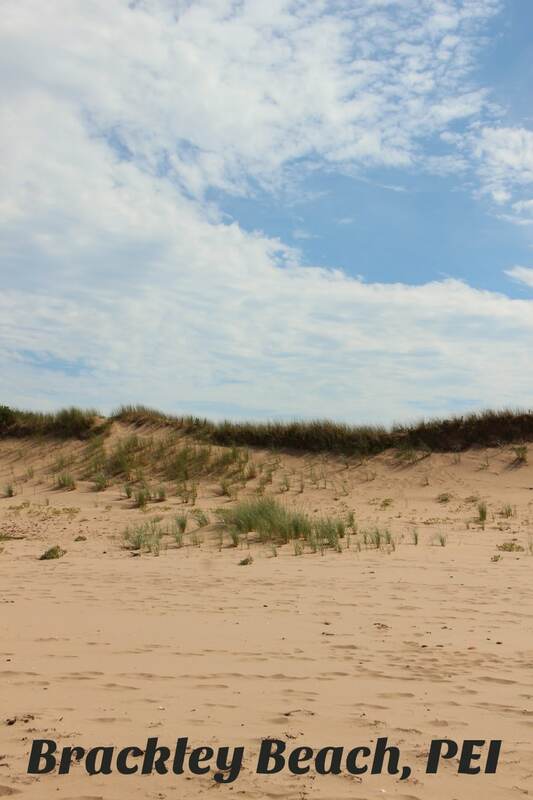 With regular specials, unique packages, and the amazing coastal view, the Shaw’s Hotel is a wonderful choice for any family travel on Prince Edward Island. 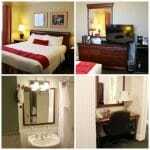 Budget-friendly, accommodating, and classic, you cannot go wrong booking your next stay here. 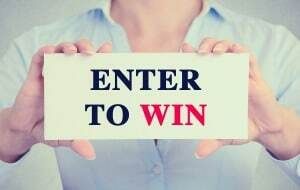 Follow on Facebook to find out about specials and news. 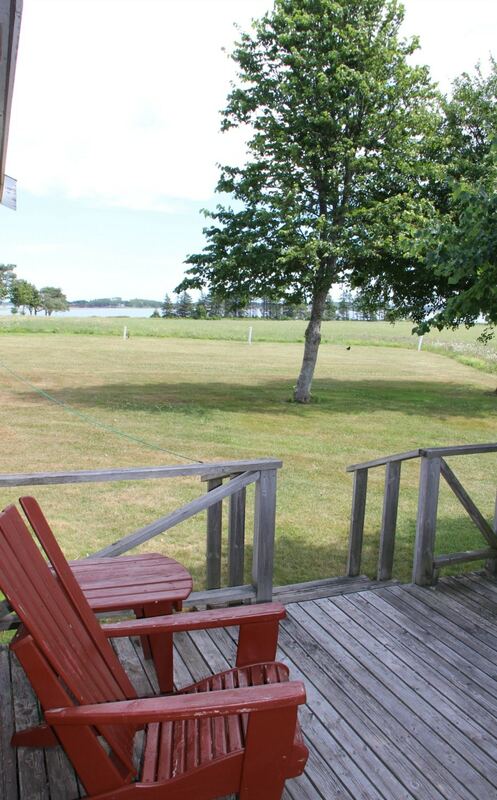 With the beauty of Brackley Beach just around the corner you can’t go wrong with a vacation at Shaw’s Hotel. Perfect for family, solo, adventure and/or romantic travel – Shaw’s really has something for everyone. This sounds like a lovely place to sit back and relax. Sometimes it’s good just to get unplugged and away from everything and this looks like the perfect place for that. Wow, what a beautiful place to stay. 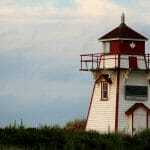 I would love to visit PEI some day. That view and the food looks amazing. I would love to relax here and just get away for a little while. So incredibly beautiful! I still have not been to PEI but it’s definitely on my list! This looks like a great place to just get away from everyday hustle and bustle. I’m sure I could have an amazing, yet relaxing weekend here. I love the landscaping there-super pretty!! Looks like a rustic and quaint place to enjoy life! What a wonderful place to enjoy some time away. It’s really nice that there was plenty of things to do nearby and even a private beach. Ah, posts like this remind me of how hubby and I need to get away! Looks lovely. That food looks absolutely delicious! This sounds like a great place to go on vacation. I have not been to PEI since I was a little girl. It is beautiful there. I would love to go back and stay at Shaw’s Hotel. It would be so nice to stay in a beautiful cottage like this. 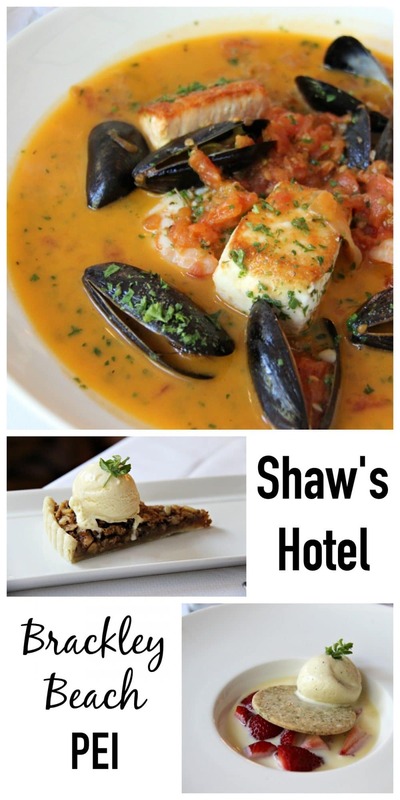 I will have to check out Shaw’s Hotel for our next trip to PEI. This looks like an amazing place to stay. Shaw’s Hotel has everything I look for when I plan a trip. It was fantastic! Still dreaming about the food! I love a place with cozy rooms, gorgeous view, and delicious food. I need to book a stay soon! What a beautiful island that looks like. Adding this destination to my bucket list right now. This looks like such a quaint and lovely place to vacation! The accommodations are just so perfect definitely on my bucket list of places to stay at! What a great place to stay. I would love to visit PEI some day!! Oh my gosh, that’s beautiful! I’ve never really considered traveling to Canada for vacation. I’d go just to stay at this hotel though. It looks like it has the perfect location! You definitely should – lots of fantastic places to stay that are beautiful and unique. I love PEI. I would like to get back there someday for a visit. I love the beautiful setting of this hotel. I haven’t been to PEI in ages. The island food is amazing. This would be the perfect place to get away from it all. everything looks so amazing. i love all of your photos and that island look amazing. i also love that food. Looks like a cosy and delicious place to visit! 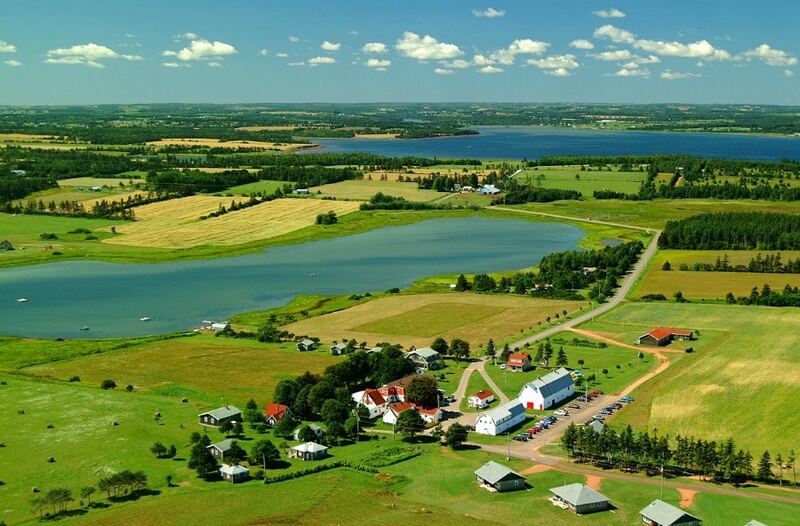 I hope to visit PEI soon! Has been on my list for YEARS. Can’t wait to feast there. this is a great review, it really captures the spirit of the place. my family stayed at shaw’s last summer. before we left, we decided we were coming back and staying longer. it is a lovely place! i highly recommend it as well. Thank you Carla! We absolutely loved it – cannot wait to go back!